Singer/songwriter Vanessa Carlton has been busy this past week promoting her new album, the Razor & Tie released Rabbits On The Run. Released July 26th, Rabbits On The Run is Carlton's fourth album and her first on Razor & Tie. Recorded in the UK at Peter Gabriel's Real World Studios, the album features production by the legendary Steve Osborne (A-ha, Starsailor, The Twang, KT Tunstall) and collaborations with Ari Ingber (guitarist from The Upwelling), Patrick Hallahan (drummer from My Morning Jacket) and the Capital Children's Choir. In addition to high profile appearances on Jay Leno and Chelsea Lately, Carlton stopped by Good Day LA and CBS Radio. Carlton also stopped by Billboard and performed her interpretation of "The Cave" by Mumford & Sons for Billboard's web series "Mashup Mondays." While no where near as haunting or engaging as the original, it's nice to hear Carlton do a cover song. Never known for her dazzling vocal ability, Carlton sounds lovely here, turning out a truly beautiful, heart felt performance, even showcasing her masterful skills on the keyboard. Lovely job. 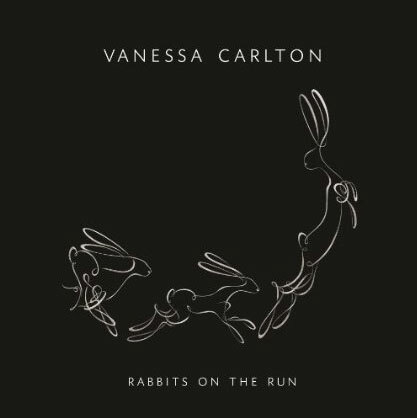 Buy Rabbits On The Run on U.S. iTunes HERE and catch Vanessa Carlton's cover of Mumford & Sons' "The Cave" below.